​League of Legends Mystery Minis are a type of merchandise fans might be interested in buying. Instead of dropping money on a large figurine, which also might not exist or be sold by Riot Games, players have another way of expanding their League of Legends collection. 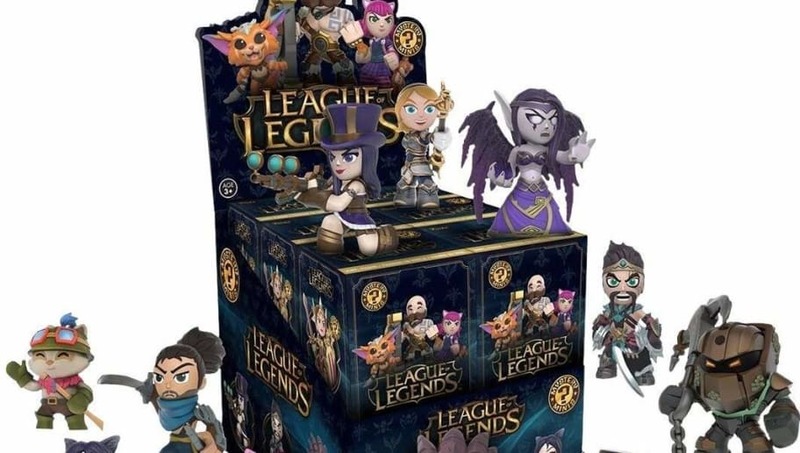 The Mystery Minis are sold by Funko as a new collectible item that League of Legends fans can purchase. Like the name suggests, fans won't know what champion is inside each box. It can be purchased from stores like GameStop and also online ​at Amazon. It will cost $9.95 on Amazon, and will likely be similar in price at physical stores. Each box contains a mystery League of Legends champion, and fans might not get the character they want from their pull. There are a couple different series of Mystery Minis with different League of Legends champions available in the series.